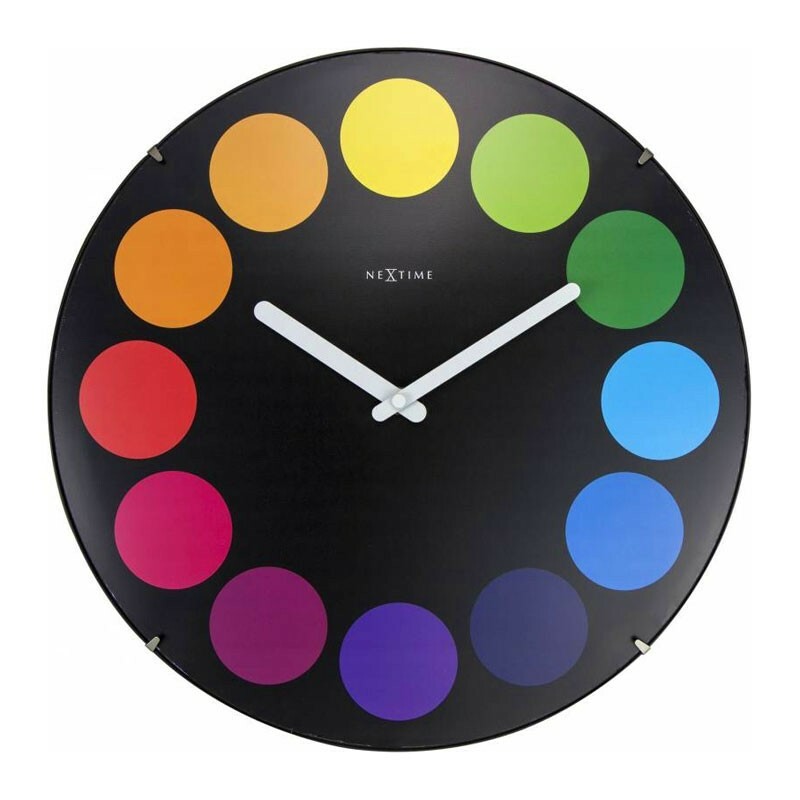 The captivating Nextime Dots Dome Clock in White brings the spellbinding allure of the rainbow into your home to complement your colour scheme with its vibrant hues. 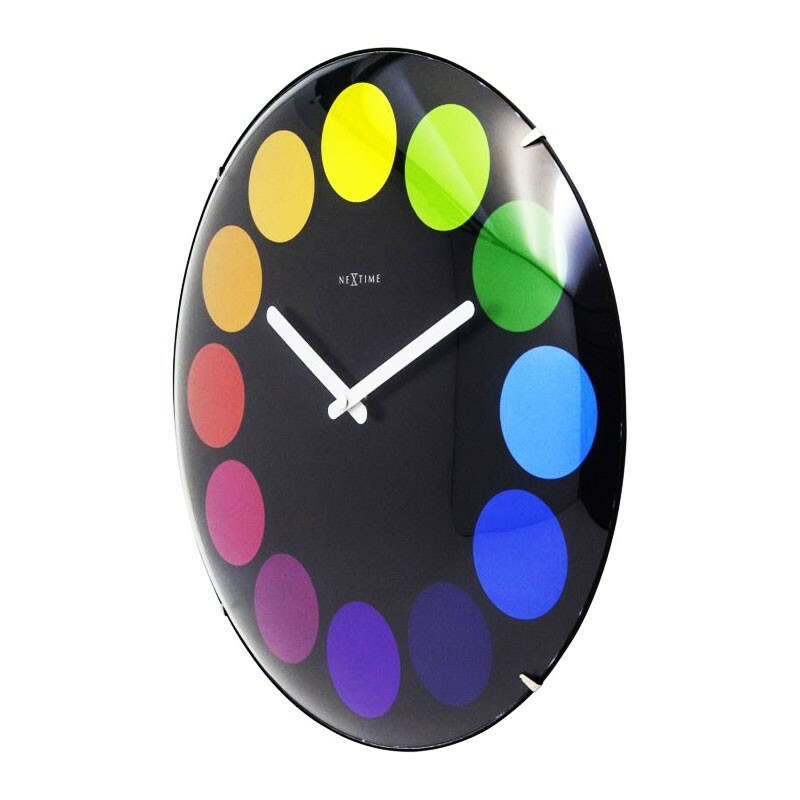 Seemingly simple in its design, this colour dots domed wall clock is much more than a splash of colour on your wall. 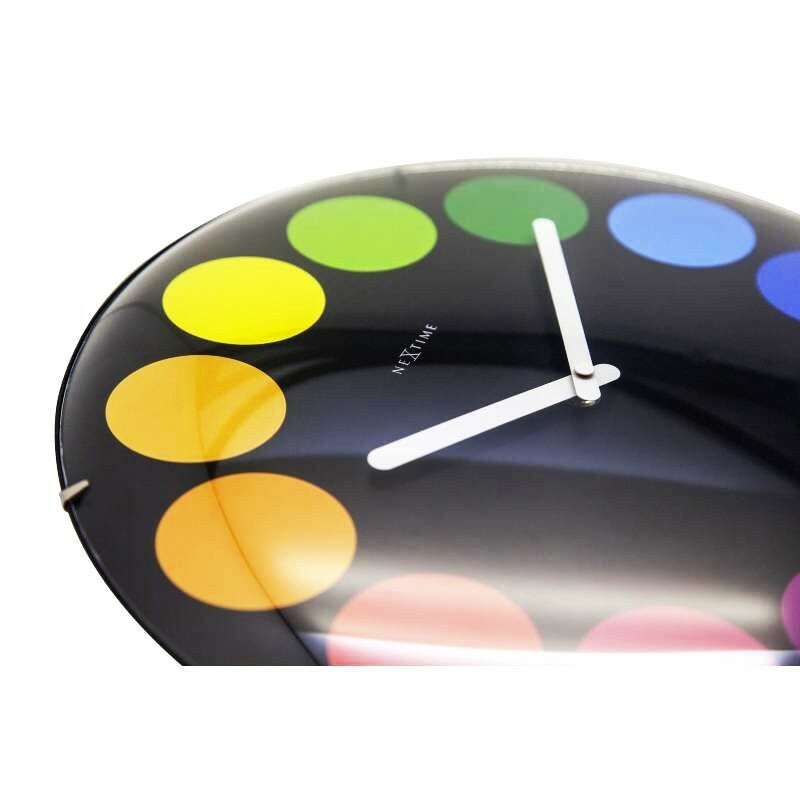 This whimsical clock features an array of dots laid out in a circle across the white dial, like a colour wheel. 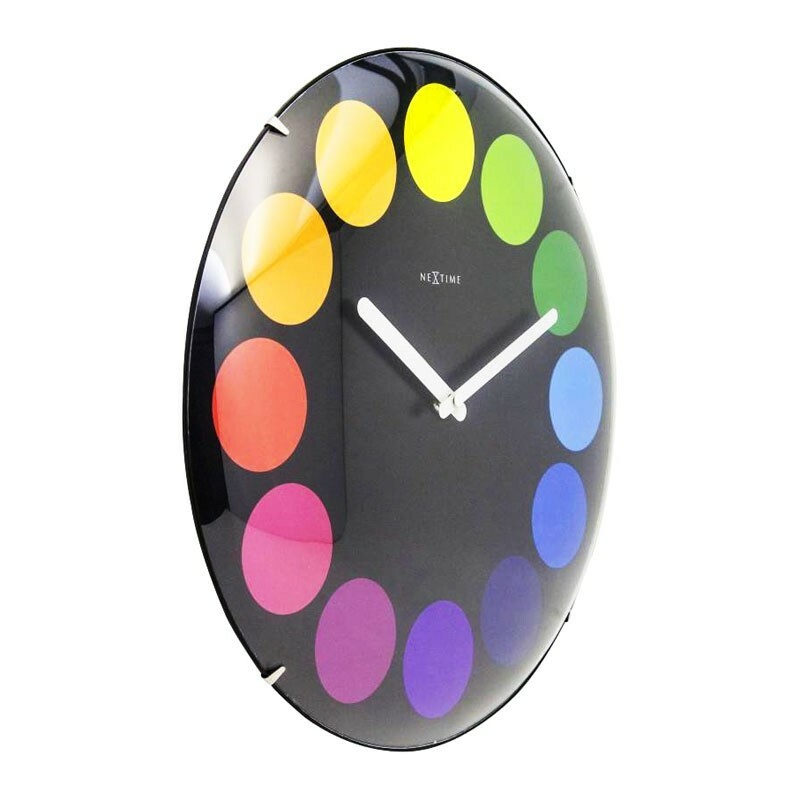 Encased in a glass dome 35cm in diameter, the clock does away with cumbersome rims or cases, so that the bright hues of the colour spectrum can be admired from any angle. 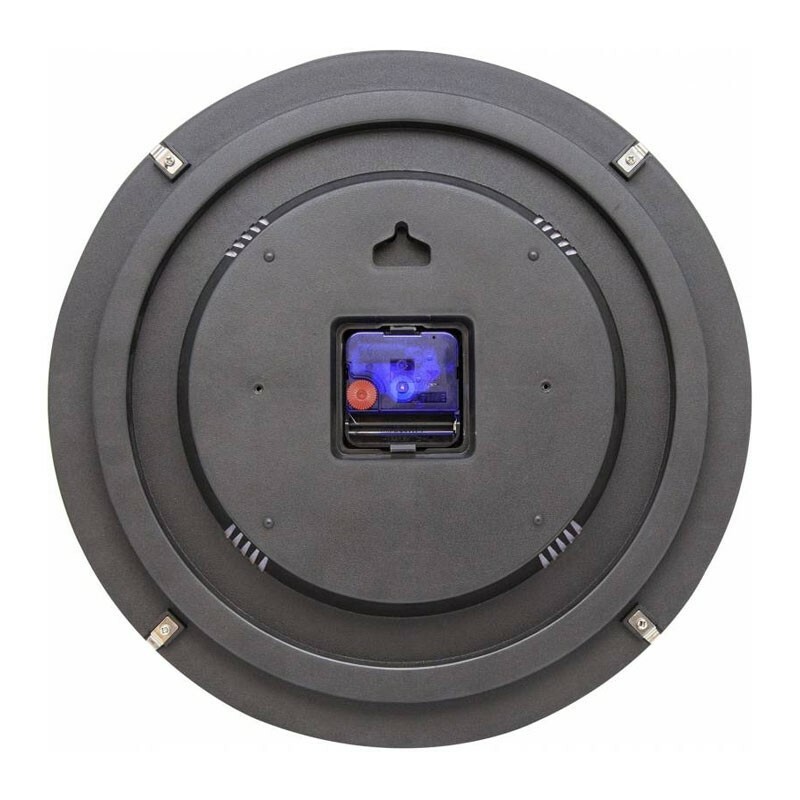 Set in motion by a single AA battery, the two black hands glide silently between the dots, fusing time and light in a dazzling display of natural beauty.